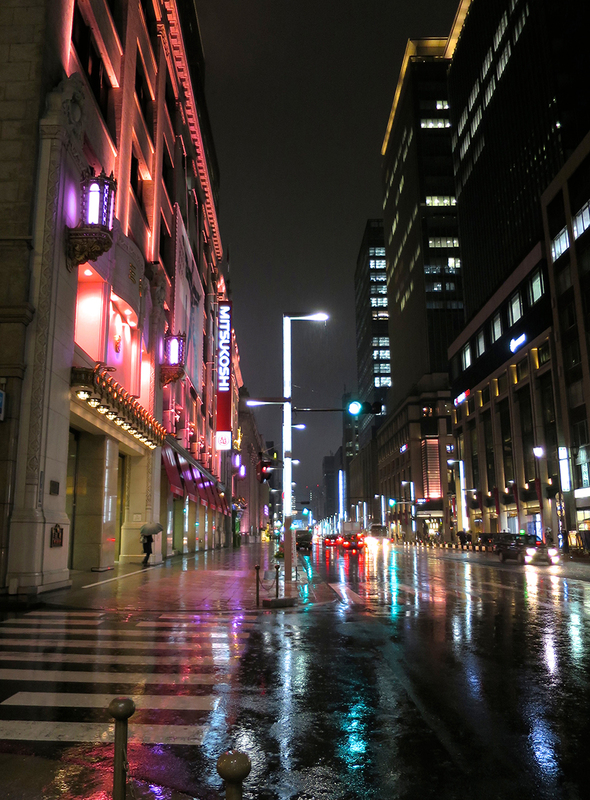 If you’re the mighty flagship Mitsukoshi department store, you light up the entire front of your building with pink spotlights. 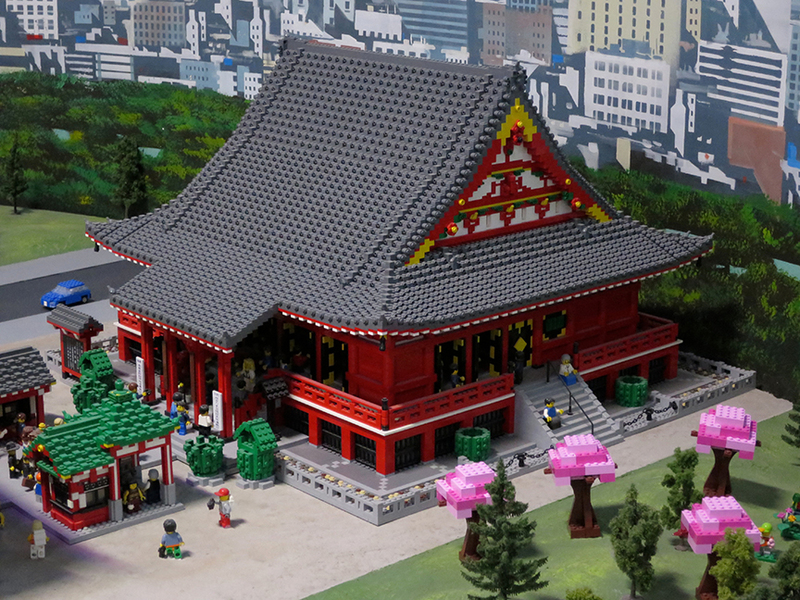 If you’re Legoland, you change all the trees in your models to little square cherry trees. 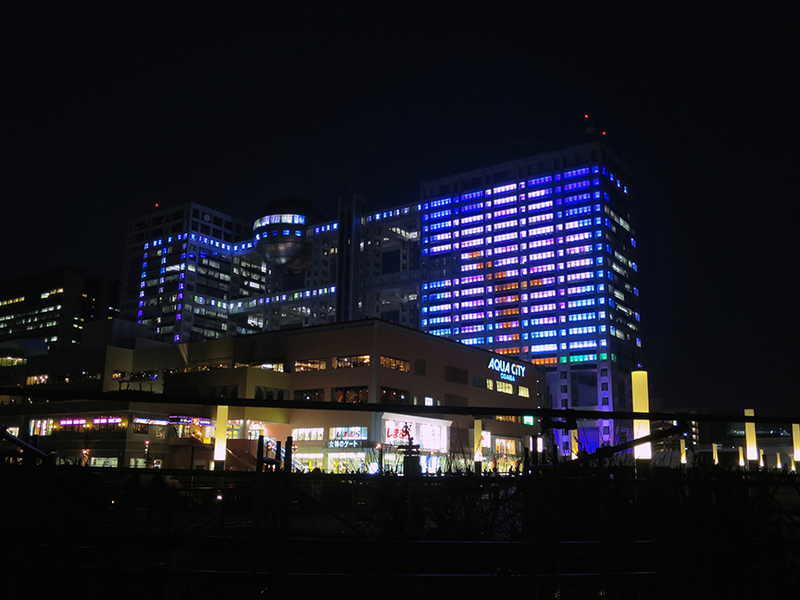 If you’re the Fuji Television building, you program all the windows on one side to play a lightshow of cherry trees and cherry blossoms. 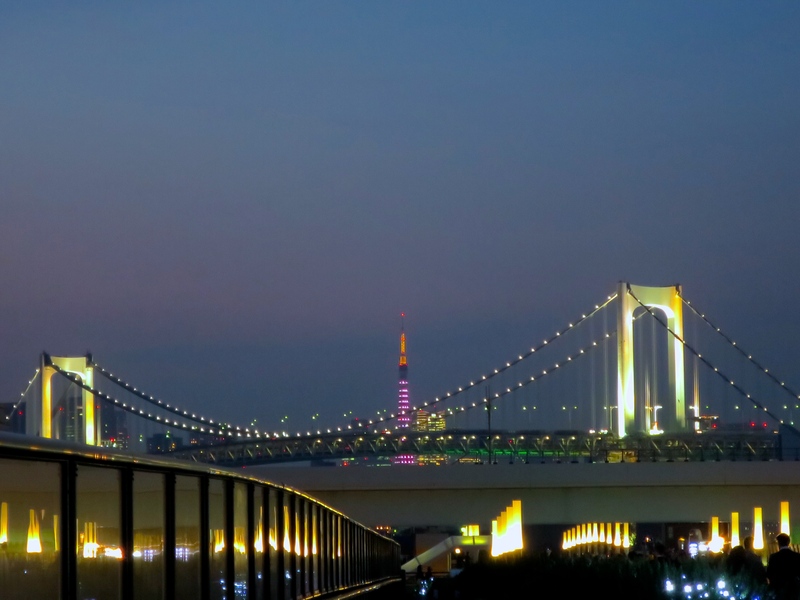 If you’re Tokyo Tower, you light up pink for the duration of The Season. 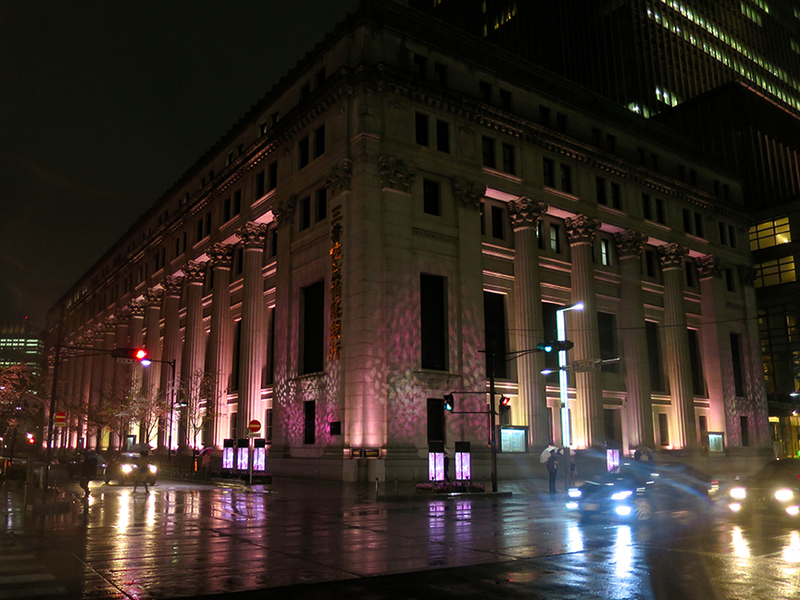 And even if you’re a behemoth Japanese bank, you project a lightshow of pink flowers onto your stately be-columned main branch. And people ask me why I love Japan. Go figure.